An elegant and graceful frock, straight out of the 50's in its chic and feminine charm. 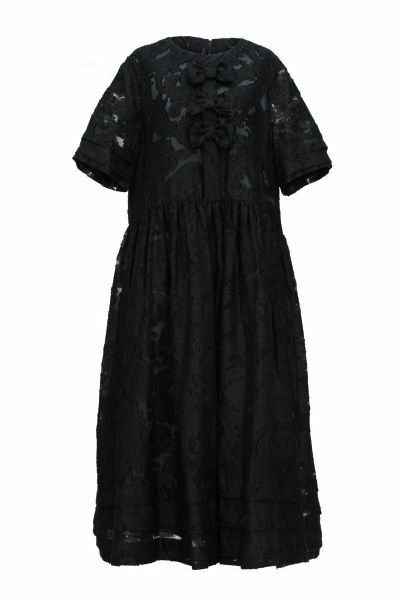 Loose fitting with short wide sleeves and playful bows at the front bodice. Fully Lined with silky Japanese contrast fabric. Loose fitting, the dress is ankle length with generous sleeves that finish just above the elbow. The shoulders are fitted for a flattering shape for everyone.